Mighty Badge™ Insert Sheets There are 3 products. 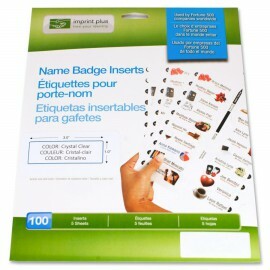 The Mighty Badge™ Insert sheets are sold as refill packs for the Mighty Badge™ Starter kit and the Mighty Badge™ Corporate pack. Each pack contains 5 x A4 sized sheets and each sheet contains 20 peelable transparent or bright white inserts, a total of 100 badge inserts. 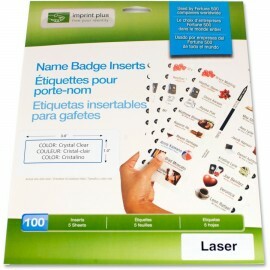 For transparent inserts, please select the pack that suits your preferred (LASER or INKJET) printing technology. Bright White inserts are compatible with both Laser and Inkjet printers.